EACOM has acquired seven sawmills and an equity interest in an eighth sawmill, all located in Eastern Canada. The mills are Timmins, Nairn Centre, Gogama and Ear Falls in Ontario and Val-d’Or, Ste-Marie and Matagami in Quebec. The equity interest is in the Elk Lake sawmill located in Ontario. The assets included the transfer or grant of tenures to enable production at the mills. The sawmills in Ear Falls, Ontario, and Ste-Marie, Quebec, are currently idled. The acquisition price was approximately $127 million (including working capital of approximately $47 million). The consideration paid to Domtar is comprised of approximately $102 million in cash and 48,070,712 common shares of EACOM valued at approximately $27 million, based on the June 30 closing price for EACOM shares. Domtar’s ownership interest in EACOM post transaction and financing will be 11.74%. As part of the transaction, Domtar Corporation has selected Patrick Loulou, Senior Vice-President of Corporate Development, Domtar Corporation, to be a director on EACOM’s Board. EACOM intends to confirm this appointment at its board meeting on July 5, 2010. 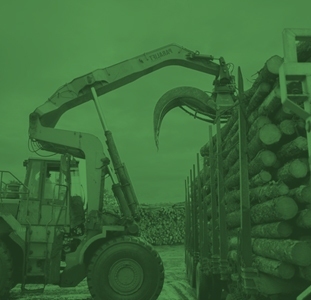 The sawmills transferred as part of the transaction represent approximately 3.5 million cubic metres of annual logging rights and a production capacity of close to 900 million board feet. Also included in the transaction are the Sullivan remanufacturing facility in Quebec and Domtar’s investment in Anthony-Domtar Inc..
“We are very proud of this acquisition as it allows us to continue to pursue our vision to become a leading producer of softwood lumber for global markets,” stated Rick Doman, President and Chief Executive Officer of EACOM Timber Corporation. “We are aware that customers in the wood products sector have many producers to choose from, and we will work very hard to ensure they do business with us, particularly given our ongoing commitment to our FSC certification,” he continued. “We are pleased to welcome the employees in the Forest Products division, as well as the members of the management team led by Jean-François Mérette to the EACOM team” added Mr. Doman. “The extensive expertise of the Forest Products division will allow us to continue to build on the great work of these people. 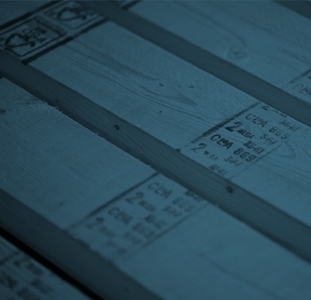 EACOM is now one of the largest softwood producers in Eastern Canada. We have re-established our head office in Montreal. The Company is a standalone operation dedicated to the manufacturing of solid wood and value-added products”, he concluded. EACOM raised $145 million in March 2010 on a private placement subscription receipt financing. Canaccord Genuity Corp. (formerly Cannacord Financial Ltd. and Genuity Capital Markets G.P.) acted as agent (the “Agent”) on the financing. The financing was completed at $0.50 per subscription receipt. The subscription receipts have now converted into common shares of EACOM on a one for one basis. The subscription receipt proceeds were held in escrow pending the completion of the transaction and were released to fund the acquisition price and general working capital. The Agent received a cash commission of 6% of the proceeds and agent’s warrants to acquire 17,400,000 common shares (6% of the common shares issued under the subscription receipts) at a price of $0.50 per share. The agent’s warrants expire in two years. EACOM Timber Corporation is a TSX-V listed company. It is a new entry into the forestry sector. EACOM currently owns one idle mill in Big River Saskatchewan, which it acquired at the beginning of 2010. The TSX Venture Exchange has neither approved nor disapproved the contents of this press release. All statements in this news release that are not based on historical fact are “forward-looking statements.” While management has based any forward-looking statements contained herein on its current expectations, the information on which such expectations were based may change. These forward-looking statements rely on a number of assumptions concerning future events and are subject to a number of risks, uncertainties, and other factors, many of which are outside of our control that could cause actual results to materially differ from such statements. Such risks, uncertainties, and other factors include, but are not necessarily limited to, those set forth under the captions “Risk Factors” of the Filing Statement dated January 8, 2010 and the current MD&A for EACOM Timber Corporation on file with the Canadian Securities Commissions.